Croatia secured their maiden International Swimming Federation (FINA) World Men’s Youth Water Polo Championships title as they battled to a hard-fought 16-13 victory over hosts Montenegro in the final in Podgorica. In front of a 2,000 strong crowd in the Montenegro capital, Lovro Paparic proved to be the star for the Croatian side as he scored five goals to help his team claim top spot on the podium. The result saw them go one better than their senior counterparts, who lost to Serbia in the final of the Olympic tournament at Rio 2016. The partisan support inside the arena were left disappointed as their team fell short, meaning they had to settle for the silver medal. “Maybe this will somehow seem a little strange, but we have achieved what we were looking for in Podgorica,” Croatia’s national team head coach Josko Krekovic said. “Our goal from the start was the gold medal and I talked about that all the time. Montenegro captain Aleksa Ukropina congratulated Croatia on their victory and admitted his side weren’t good enough on the day. “We believed we could be the new champions, but we did not have enough tranquility in the final moments to take advantage of our chances,” he said. Hungary, often a worldwide force in the sport, took home the bronze medal by beating Italy 12-8. 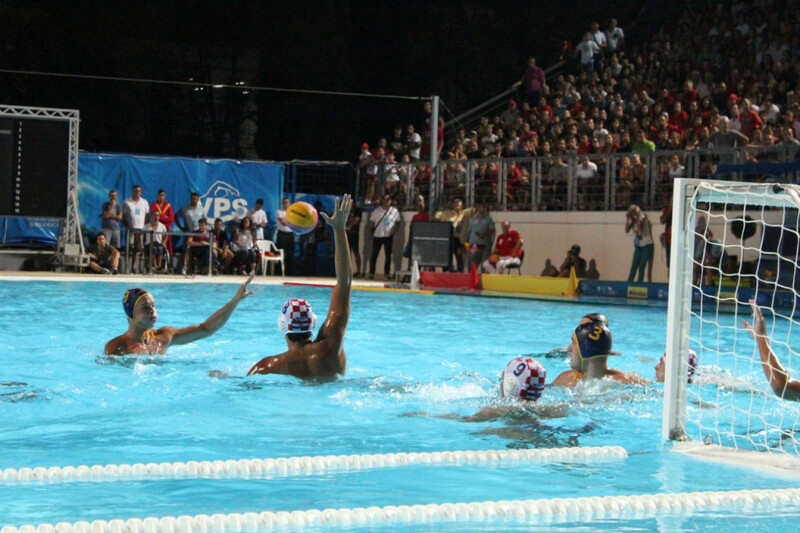 The Hungarians, winners of the last World Men’s Youth Water Polo Championships crown in Istanbul in 2014, were locked in a fierce match-up with a determined Italian side. Viktor Vadovics of Hungary and Italy’s Massimo Di Martire each found the net on four occasions but it was the defending champions who proved too strong in the end. Serbia took fifth place as they overcame Greece 22-19 in a high-scoring affair, while Russia ousted Australia with a narrow 9-8 win to clinch seventh. The competition was the first to be held under a new set of rules, with a smaller field of play and ball in operation. A total of 19 teams spanning five continents took part in the tournament, the flagship biennial event for men’s water polo players aged 18 and under.